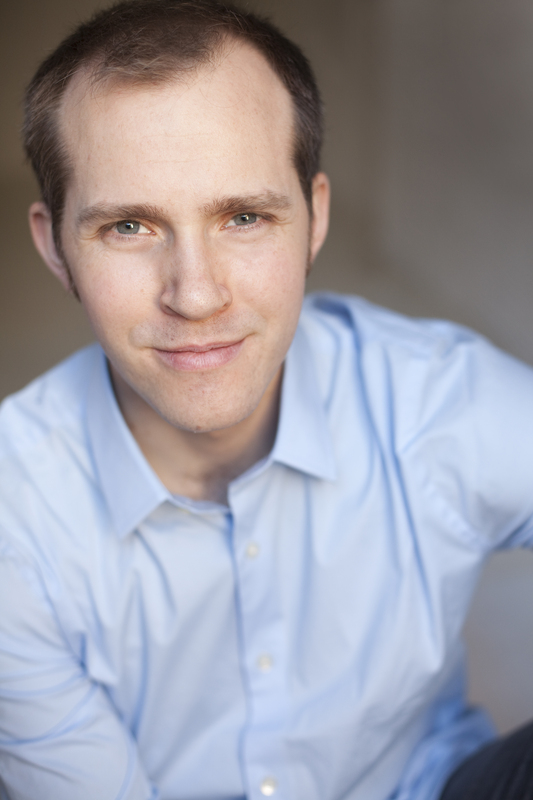 Zac Hoogendyk is playing Simon in Ken Ludwig’s THE GAME’S AFOOT. He will also be on the Gulfshore Playhouse stage as Chris Keller in ALL MY SONS. One of the more amazing things about professional theatre is how quickly strangers become friends. Two weeks ago, I arrived in Naples knowing nobody. I’ve never worked at Gulfshore Playhouse before, and I had never worked with anyone involved with The Game’s Afoot. I left the snowy and familiar streets of New York, and arrived in this tropical paradise not sure what to expect. It’s always a crap shoot meeting a new cast. Sometimes you just don’t click. When this happens you’re expected to fake it. You fake intimacy. You fake friendship. You fake it because it’s your job. And when you have to fake it, it FEELS like a job. This can be doubly challenging because the support system you’re used to is thirteen hundred miles away. Your wife, husband, girlfriend, boyfriend or best friend isn’t at home after a hard day at work. Instead you go home to the empty, sterile feeling apartment known as “actor housing.” All you want is a stiff drink, a sympathetic ear, and the touch of the person you love. What you get is a stiff drink and…a phone call. Not the same thing. But sometimes miracles occur. You’re blessed with a group of 8 strangers whom are quite simply a joy to be around. You enjoy working with them, playing with them, taking breaks with them, drinking with them, and swimming in the ocean at midnight with them. I can’t explain how it happens, it’s alchemical, but somehow you end up with 7 new friends. In case you haven’t guessed yet, I’m rather fond of the cast of The Game’s Afoot. They are talented, hardworking, and fun actors. More importantly, however, they are good people. After we’ve spent all day rehearsing, I’m overjoyed at the prospect that I can spend even more time with them. Whether it be getting drinks and watching sports with Chris, or playing tennis and going for a run with Claire, or heading over to Cody’s house for pizza and a board game, or getting Sushi with Julia, or going swimming in the ocean at midnight with Emily, Alexis, Claire, and Chris, or just sitting and listening to Barbara recount a story from her life well lived, I’m happy to be around them. This all makes the task of staging a play much, much simpler. When people get along its easier to work. In the words of the immortal Ron Burgundy, “That’s just science.” Gulfshore Playhouse is known for putting up quality productions, and if you’ve read the script for The Game’s Afoot (or even if you just know Ken Ludwig) then you know that this is going to be a fun play, but in case you need another reason to see the show it’s this: the Cast. Every time I’m on stage with them, I’m amazed by what they’re doing. It’s been a joy to watch. Sometimes I wish that I could just sit out in the audience myself and enjoy the show. It’s always a good sign when actors are sitting to the side and laughing while others are rehearsing. And I promise you there has been a LOT of laughter over the past two weeks. Already we’re approaching opening and the prospect of heading back to our respective homes is creeping into our heads. It will be bitter sweet, I’m sure. We long to return to our loved ones (who have never really been far from our thoughts) and the comfort of our own beds. But I can already tell that I’m going to miss my new friends. I’m going to miss being on stage with them, and I’m going to miss just hanging out with them. Like I said, it’s one of the more amazing things about professional theatre: strangers become friends practically overnight. Then sometimes they become strangers again just as quickly. Not always, but sometimes. So to Chris, Emily, Cody, Julia, Barbara, Claire, and Alexis I say this: I plan to be “Not Always.” So deal with it. Zac…….Welcome to Naples and Gulfshore Playhouse. You blog reinforces the warmth that exudes from staff and actors each time I stop by the Norris Center to drop something off or attend a meeting. You said it so well. Looking forward to seeing you in Game’s Afoot. Thank you for the welcome Cady! I’m excited to have you at the show.